We finally got out to do our BD debut today and words can't describe how happy I am. But I am going to keep you on tenterhooks for just a moment or so to update you with what we have been up to over the past week or so. Last Sunday we headed off to do some in hand showing at Sparsholt. We've never done any showing before and I am very aware of Cam's conformation faults and his lack of sparkle so didn't really expect anything. 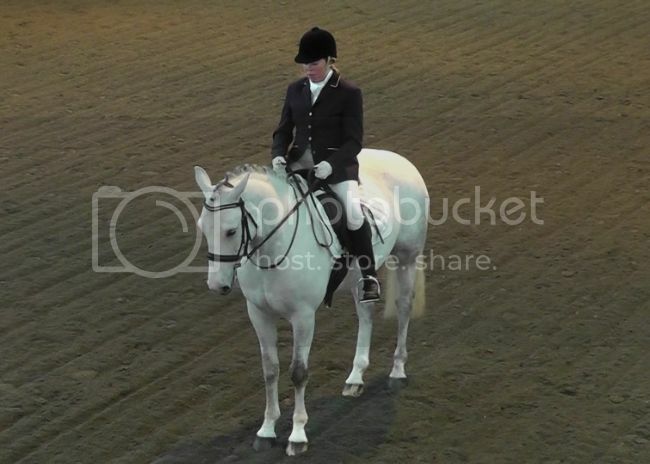 But we came 5th in a big class for Riding/Hunter/Competition horse which was wonderful. Unfortunately we had a judge of little words as it would have been nice to hear what he liked/disliked about what was in front of him, but to be honest this was all about giving Cam a nice day out as we haven't been any where since last October. Massive thanks go to Suziq77 who came over from Kent last Summer to give us a bit of a showing masterclass and has very patiently fielded all the questions I have asked of her since and also to Be Positive who has been more than encouraging. 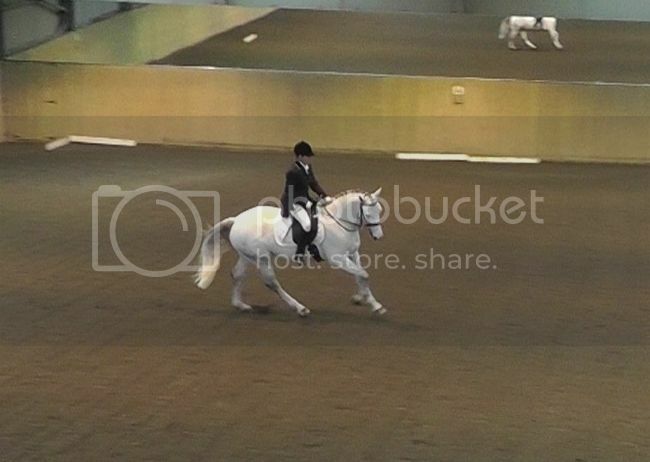 However, once I dragged him out of bed we had an amazing lesson. For the past year or so we have worked with virtually no contact and really making sure Cam was properly engaged from behind and working in self carriage. If I had a pound for every time my instructor told me to leave the front end alone, it's going wrong because the back end isn't working through, I would be very wealthy. I've never been a person that would 'saw' to get an outline, but I am guilty of fiddling with my knitting. Not any more, I can assure you!! On Thursday we did lots of shoulder fore including walk squares with a quarter turn on the forehand at each corner. Also more shoulder fore in trot, both squares and circles, and really working on getting the back end engaged and the frame nice and short but with no tension in the neck and jaw. Some lovely slow trot work where we were barely traveling forward, but had loads of impulsion and spring - probably the most powerful Cam has ever felt. I did make up for working him on his birthday and gave him a bunch of flowers, so I'm not all bad. Anyway, I digress...... on to today. I dragged Cam out of his stable at some ungodly hour, actually I dragged myself out of bed as well - 6 am on a Sunday morning shouldn't really be experienced other than coming back from a night out. :/ But we got sorted and plaited and off to East Soley, with me chanting to myself "I'm doing this because I want to!". This was in spite of the grey skies, heavy rain and very gusty winds. We arrived safely and tacked up. There were some very, very nice horses there and I almost felt like putting my bog pony back on the lorry and heading home again. I really thought that we were better off carrying on with the unaffiliated and even after two years together were not really up to scratch to do BD. But we started working in very tentatively. I swear we got from A to C in the warm up 5 times faster than from C to A given the prevailing wind. The time came for our test and it rode really well, for us that is. 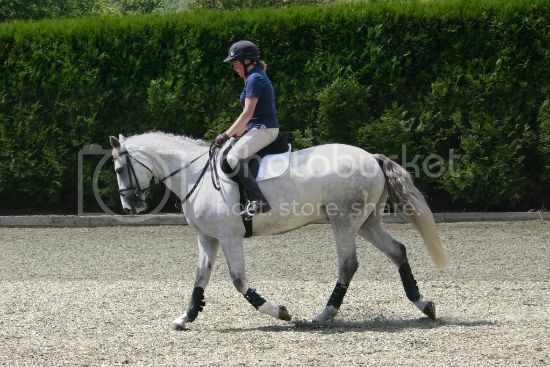 We actually managed the correct right canter strike off even though it was in a corner - our nemesis!!! I was just so happy that we did all the movements where they were meant to happen, I didn't event think about how they were performed. Popped Cam back on the lorry for a quick break between tests and went to look at the scores. We were early in the class so only a couple were up, but we had scored 66.25% - I was absolutely stunned, but assumed that we had a generous judge and that many higher marks would follow. On to the second test. Hmmm, that didn't go so well, so the less said about it the better really. However, I want to be totally balanced with my report so will say that I think we went off the boil a bit. Before I went in to the first test we did lots of lateral work (shoulder fore/leg yield) to really get Cam sitting a bit more, but I just worried about getting him forward for the second test thinking he would be a bit weary. 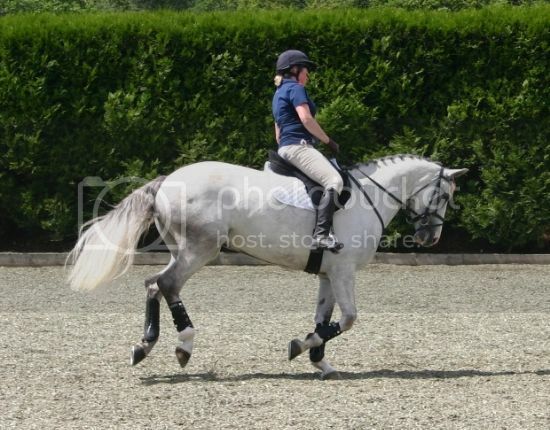 We struggled to get our right canter strike off, eventually managed on the fourth try. Also our free walk drifted terribly to the point where I had to make a big alteration of course. I really don't like Prelim 13 - things seem to happen at odd places. 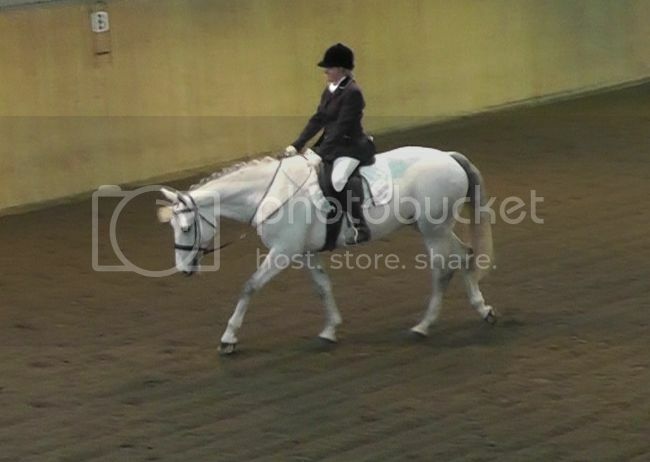 So sadly we scored a couple of 3s with the rubbish canter and our free walk only scored 5.5. 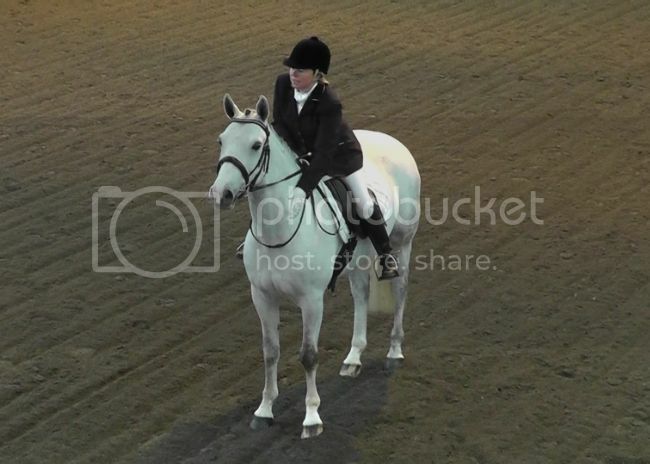 But, the thing I will take away from it all is that all marks after the 3s for canter were 7s so at least we were able to put it behind us and move on. We scored a rather paltry 59.79% for that test. Very much deserved and I take away from the experience that we were correctly penalised where things went adrift, but we still had plenty of 7s in the rest of it. 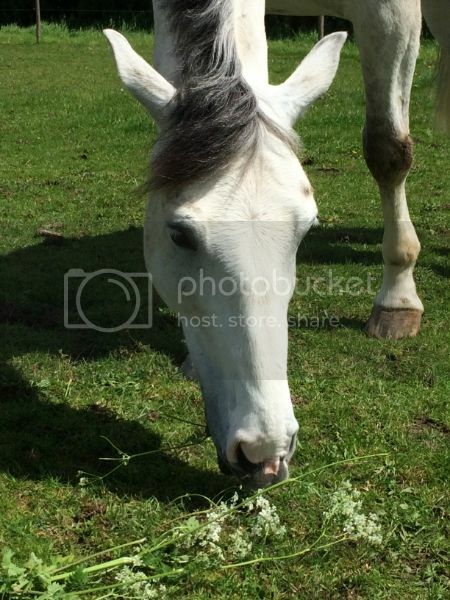 Anyway, untacked, loaded Cam on the lorry, and how lovely to meet Humblepie who came over to say hello! 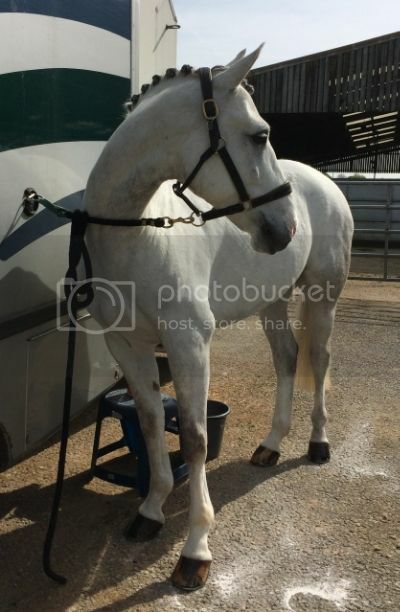 (Hope your lovely horse did well in the Novice!) I went up to pick my sheets up and was completely stunned to find we had come second in the first class. 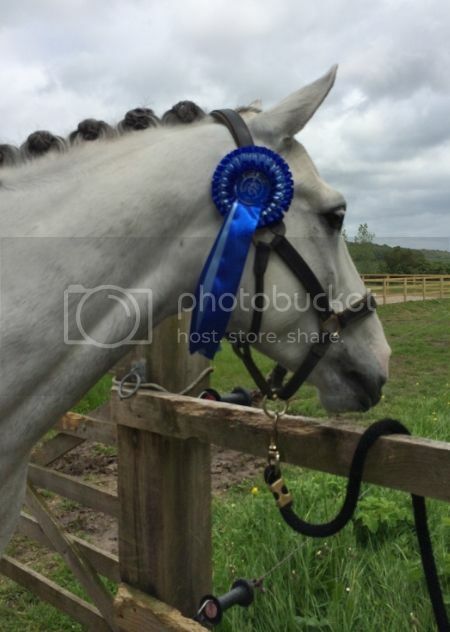 So along with the shiny gold star 66% sheet for Petplans we also had a pretty blue rosette. So thrilled, will be smiling for weeks. Well done on making the jump, and super well done on that result!! Well done Mr Cam!!! (and you ). 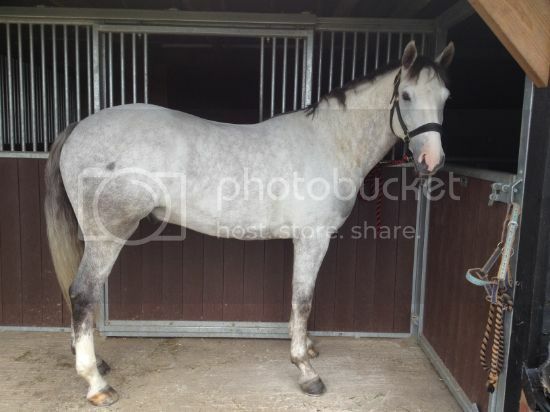 First step towards Petplans Looking lovely in the stills!!! Well done - you are a great partnership. We could have had a chat at 6am!! What a great result! I think I need to take grey-bathing lessons from you, too! 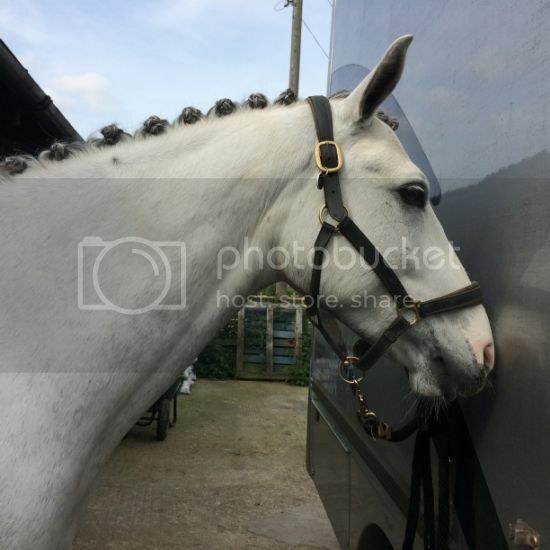 Lovely pics and such neat plaits! Lovely report, he is looking fab. 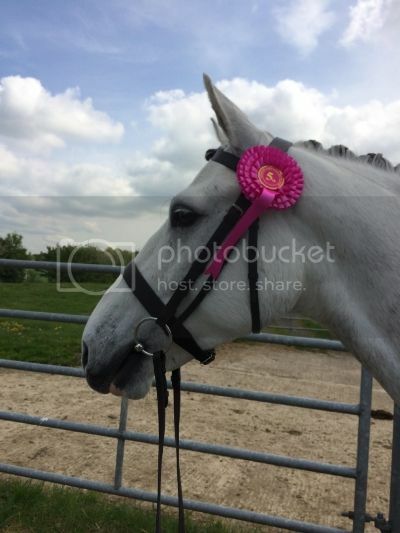 Well done on your placing in your first test, brilliant job. Also loving the plaits, very smart indeed! Doesn't he look well? He's really put on muscle and condition and looks great. Well done! Really well done and definitely not a high scoring day if you look at the scores over all so your 66% was well earned. It was incredibly windy, the trees outside were almost horizontal. Was nice to meet you too having almost met you last year! 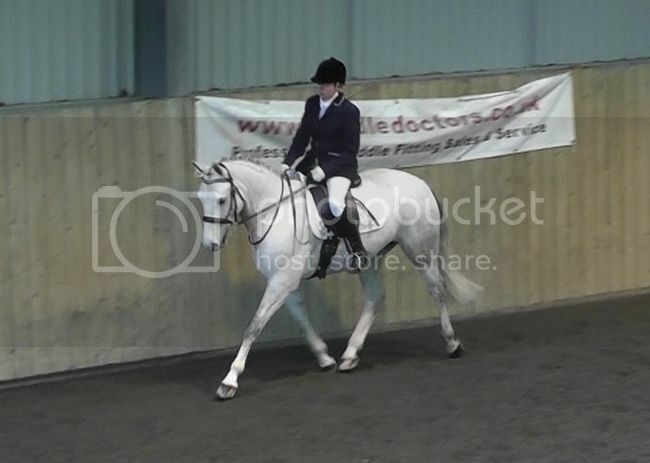 Pleased with our horse, won both his sections and won the novice qualifier over all. His first test was far from his best but the second was lovely. 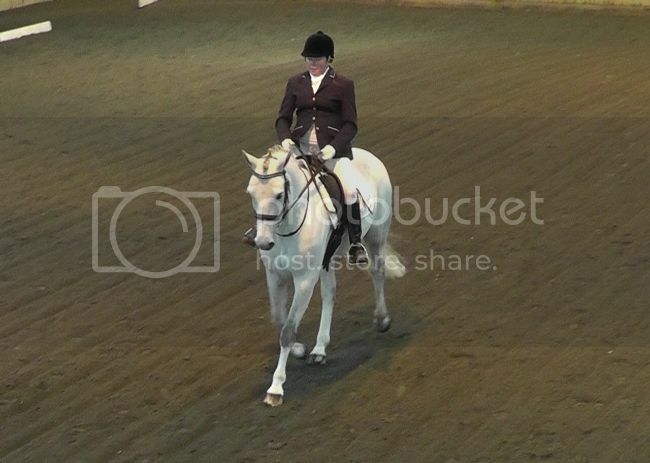 Think you should definitely venture out to more showing - Cam looks ideal riding club show horse material. Well done he looks fab, especially in the canter photo where he is really stepping under and going uphill, all the hard work is definitely paying off. Sounds like a very impressive debut. Well done! Thank you, very chuffed with him and very nice to have that sheet on our first outing. Now need to plan the next one. Thank you. It's taken a while, but it really is beginning to feel like that now. Thanks. It's all about keeping on top of the stains really. I don't worry too much about mud, but I do wash the stable stains off most days. It's a bit of a chore, but it's worth it. Thanks! I've just started doing the hooded plaits. I did a couple less yesterday than last week and I think they are about the right size now. I now need to get quicker. I can do the other style in about 20 mins, but it took twice that yesterday. Thank you. Very happy, still smiling now! Thanks. It's nice to hear that, you don't always notice when you see them every day. Thank you! Well done on your results - that's great! I'm just glad the tests themselves were indoors, I found it quite hard to concentrate with the wind battering us warming up. 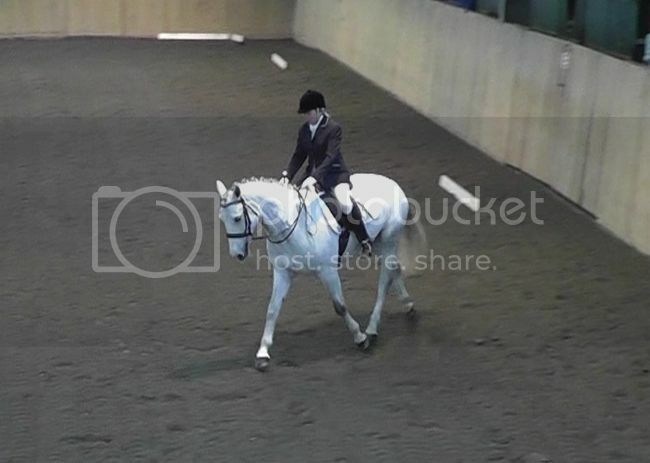 I will definitely do some more showing as I like that it is a bit more 'free form' compared to dressage - just need to fit it in with family commitments. Thank you for your lovely comments - very much appreciated. Thanks! Let's hope it doesn't all go downhill from here. Well obviously there will be blips, but that's horses and par for the course. If you don't mind me asking what are hooded plaits? Thank you so much - that's such a kind thing to say. Mine don't look quite like that yet but I'm hoping practice makes perfect. Just adding some links to a few pro pictures - I did enjoy it despite the look on my face. The last picture makes me laugh. For those who haven't been to East Soley, there is a balcony where the judge, writer and spectators sit. Every time we do a test there, Cam completely ignores it until after the final halt, then looks up as if to say 'Hello, how did I do?". Happy anniversary Love all the photos, you both look great - hopefully see you again in the flesh later in the summer! Thanks. I am so pleased with how he has come on, it is just lovely that all the basic level work we have put in is now reaping rewards.